Each year, Lyon is welcoming around 16 000 international students! Let’s talk with two of them, Guyue and Juliette, who studied in Lyon for two semesters. When have you been in Lyon and how long ? I came to Lyon in September 2017, I’m here since 10 months. I took part in the exchange program of the Beijing language and culture University. It is my home university in China. Was it your first time in France/ in Lyon? It wasn’t my first time in France, but the first time that I’ve been in Lyon. I travelled a bit in France in 2015: Paris, Lille, Nice, Marseille, Cannes…this time, Lyon is a special city. The first trip for me in Lyon was from the airport to the Jean Moulin Lyon 3 University. I was looking at the streets, people and buildings through the car windows…everything seemed a bit common compared to Beijing or Paris. Yet, I found out that life here was very great! It’s a city full of history and culture, in the meantime calm and vigorous! I love everything here, Fourvière, the Tête d’or park, the old town, Bellecour…I can’t count all the great things! For me, the mood is very impressive. Everything impress me a lot: pubs, the Saône and Rhône rivers, Confluence, Part-Dieu, rainbows after rain, animals (especially the pink flamingo at the zoo), Traboules, pralines, concerts, the movie festival, the festival of lights…Compared to Paris, it is not a crowded city. People here are nicer. Public transport is practical, metro station are perfumed, funicular railways are interesting, bus and tram are clean and the bikes are a very good mean of transport. Everything is in line with the picture of my perfect city. I travelled during holidays and weekends. I visited Annecy, Strasbourg, Colmar, Nimes, Montpellier, Carcassonne, Toulouse, Toulon, ect. I also love those cities. Castles, sea, mountains, harbours, each city has its own specifics. Yes, I learn French at the university in China. Even if I took part in an exchange in Brussels, it seemed still a bit difficult to speak French fluently, or speak as a French from my arrival. 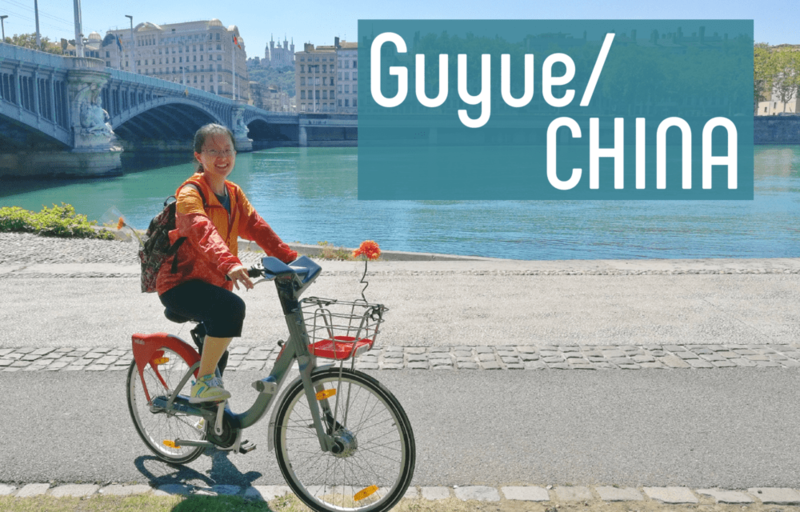 What was the first or favorite French word you learnt in Lyon? It is « la quenelle ». It is a Lyon speciality. I tasted it for the first time in the university restaurant, it isn’t bad. Is there any anecdote, connected to your experience, that you wish to tell? People who leave metro station and don’t need their tickets anymore drop it at the entrance in order for other people to use it, it is curious and interesting. I think all experiences are useful. During this ten months in Lyon, I discovered another culture and used another language to communicate with people. It is really stunning. I learnt a lot of things, such as gastronomy, culture, history, studies, the way of speaking with French people, attitudes when facing difficulties, ect. The most important thing for me was to live as a French person: when one work, one focus on work, after work, it is time for enjoying life. Anyway, all the things I lived became an unforgettable and significant part of my life. I came to Lyon in August 2017 and am left July 2018, so I spent nearly a year here! I’m a french literature major, and Lyon played a huge part in the country’s literary scene, maybe as much as Paris did. I wanted to explore the city many of my favourite authors wrote about. Plus, I wanted to live in a city that is on the smaller side but packs a lot of life. I’d visited France when I was maybe six or seven, but it doesn’t really count if you don’t remember anything, does it? So yes, I can say it was my first time really enjoying France. I’m used to big city skycrapers, so the European architecture was a breath of fresh air. Most of the city just exudes history and calm. Is that weird? I loved it! I very quickly got around to visiting landmarks and older neighborhoods and felt right at home. I think Lyon is a great city for people who like art (I know, it seems large!). Whether it’s music, painting, theater, etc., there is always something going on! 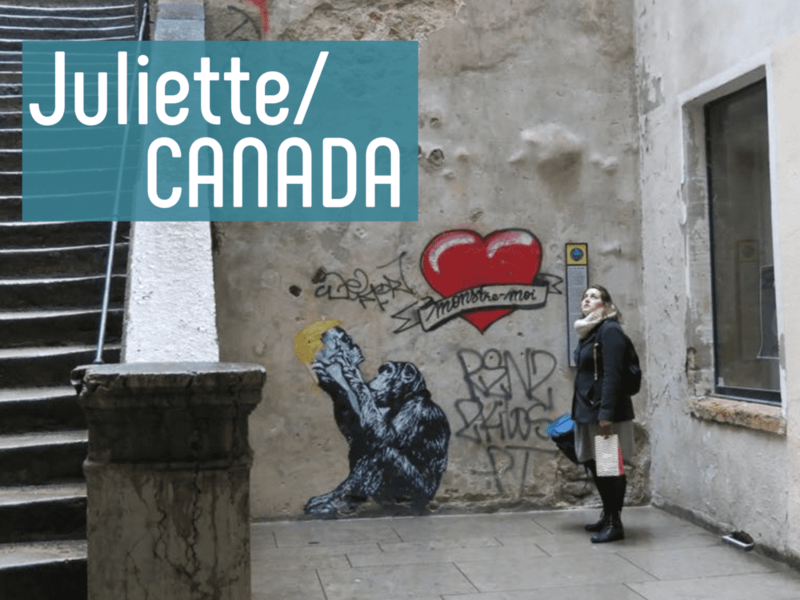 There are so many cute art galleries to visit, or underground concerts to attend… Plus, students get access to great deals on entry fees and cultural passes, so you can all do it for pretty cheap! I’m a big fan of “slow cafés”, or collaborative/coworking spaces. Coffee shops such as SOFFFA or Slake Coffee House are great to cram for exams while enjoying delicious coffee for a fair price. I also spent an unhealthy amount of time in cat cafés like Au bonheur des chats and the GentleCat. Aside from my coffee shop addiction, I loved walking around Le Parc de la Tête d’or with my friends, marveling at the animals from the zoo, eating waffles and getting sunburnt on the lawns. I mostly traveled out of the region (Aix, Strasbourg, Toulouse…), as I had many French friends inviting me to their homes, but my favourite trip near Lyon was probably Vienne, just 30 minutes south by train. I’m a huge ancient history nerd, so visiting their Gallo-Roman museum and Augustus’ temple there was a blast for me. I also made a quick trip to Annecy, which was so beautiful. It felt like a French Venice. I got really bad weather though, so I didn’t visit it much. I picked up “meuf”, “mec” and “putain”. Nothing classy, and I hate myself for it. However, I did learn about “grattons”: bits of pork fat, deep fried. Delicious and vicious to the arteries. A lot of Quebec musicians, when trying to gain popularity in France, start off in Lyon (because Paris is VIP territory). I got to see a normally top-tier artist for only 5 euros, with only 10 other people in the room, and then partied with him all night. My parents were VERY jealous. Another one would be Saint-Patrick’s night. A lot of my Erasmus friends were from Ireland, Great Britain and Scotland, and they took the holiday very seriously. I got dragged around a packed Vieux Lyon, going through its dozens of Irish pubs, having a grand time and meeting loads of cool new people from all around the world! It may seem weird to say, but living in France has made me see my own culture in a new light. Meeting so many people different from me has not only opened my eyes to other ways of living and thinking, but it has allowed me to share my own, explain them, and question everything I knew about my own life. I also, learned to apartment-hunt and deal with bureaucracy on my own, which, in France, is a sport of its own. I hope everyone who has the opportunity to live in Lyon takes it and allows themselves to bask in all its beauty and life. PreviousHousing in Lyon: what do I need to know?